Special exhibitions on the “Opposition to the America's war in Vietnam”, “The Peace Movement in Japan supporting Vietnam during Wartime (1954 – 1975)' and the Friendship between Vietnam and Japan opened at Thua Thien-Hue Province History Museum on March 23. The event featuring more than 400 photos and documents sends a message of peace and affirms the normalization and improvement between the United States and Vietnam in different fields. The exhibition also presents to viewers exhibits related to the Vietnam peace movement, the anti-Vietnam War movement in Japan, and the diplomatic relationship between the two countries. 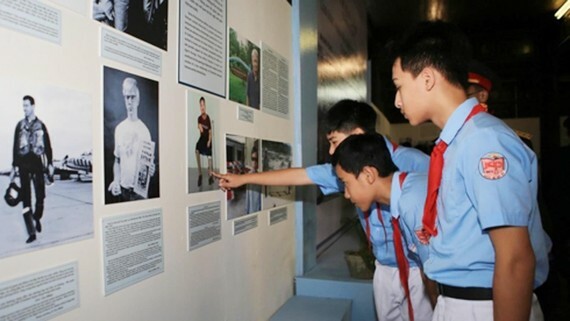 Co-organized by the Ho Chi Minh City War Remnants Museum and Thua Thien-Hue Province History Museum, the display will run until May.